The Cable Ship Living Stone suffered a fire yesterday afternoon, located on the Santurtzi dock where construction work was being completed outside La Naval. 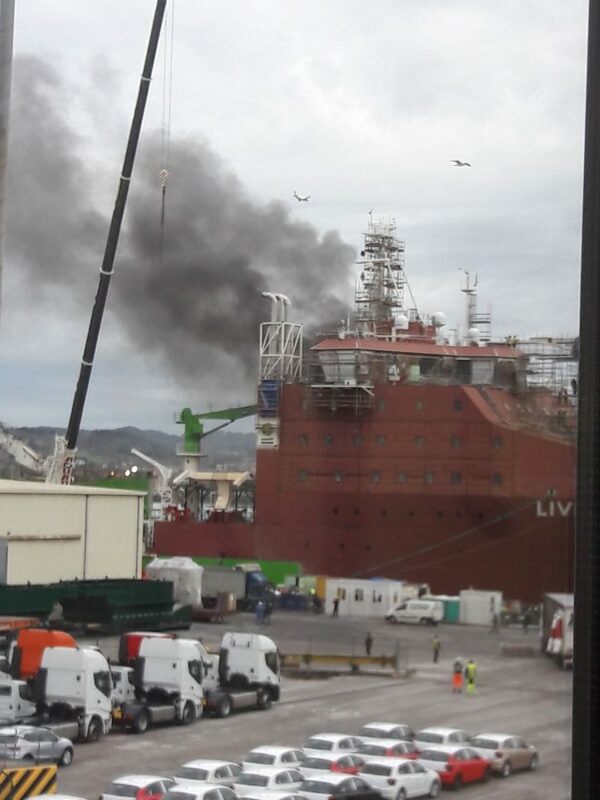 Yesterday afternoon, the cable ship Living Stone caught fire on the Santurtzi dock, Vizcaya. It seems that five of the workers had to be treated for intoxication due to smoke inhalation, but it has not been necessary to be hospitalized. Tideway, tried to take the ship in the middle of the night at the end of September, being prevented by the Ertzaintza and shipyard personnel. How Do Mexican Drug Cartels Traffic Through the Sea?